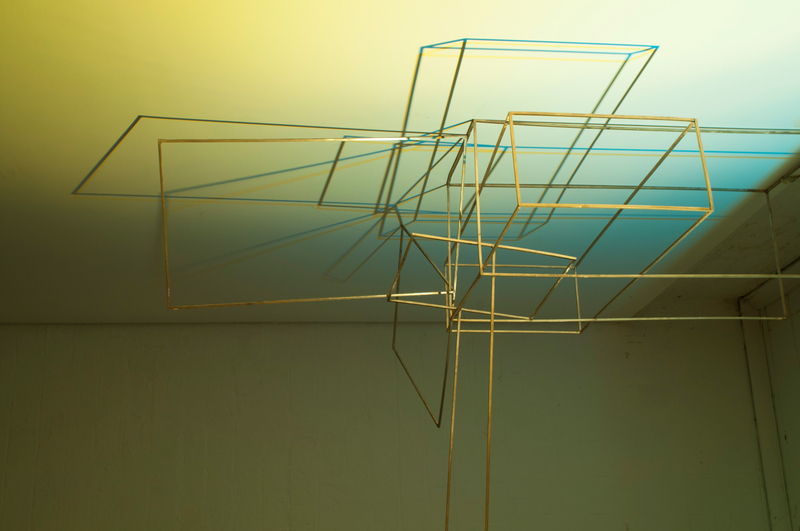 Anna Varendorf’s exhibition ‘Sort of Free Objects’ opens on Friday, 31 January 2014, 6–8pm. The exhibition will open daily until 12 February 2014. Anna’s artistic practice traverses the mediums of both jewellery and sculpture. Katherine Lee spoke to Anna about how her upcoming exhibition at A–CH Gallery, and how her exhibited work will consider the discourses evoked by artwork that possesses elements of sculpture, functionality, and jewellery all at once. Katherine Lee: You have referred to your objects as “jewels for a room”. Do you consider them more as jewellery than sculpture? They have evolved from jewellery; do you consider them as having elements akin to jewellery? Anna Varendorff: I don’t consider the objects specifically as jewellery, but I do think that they have similar concerns to the jewellery that I make. The objects appear as gilded, linear and delicate in similar ways, and they can be interacted with. And people have a sense of relationship to the pieces through their own sense of scale, which relates to their person. This to me is a significant correlation. K: Jewellery is both a functional and precious object, whereas sculptures are traditionally only seen as precious objects. Is that something that you are interested in looking at in your work? A: Yes, but I think that they both share a function – which is similar to consideration – whether they are interactive or static. I use materials and fabrication methods for my sculptures that refer directly to jewellery, and to the history of sculpture. 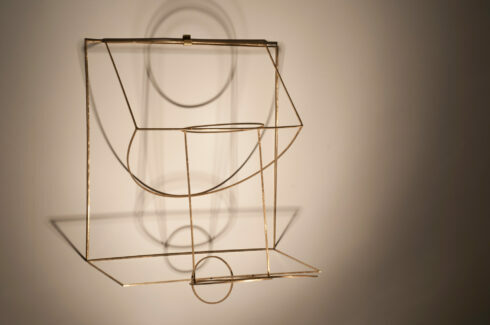 The ability for the objects to be interacted with and rearranged depending on the space or exhibition is a direct nod to jewellery, as is the delicate, linear, gilded nature of the objects. So perhaps these combinations of the precious and the interactive can enable the objects to have multiple functions of experience. K: Talk us through the process involved in designing and creating one of your objects, is it different to the process you follow when you’re creating a piece of jewellery, or do you follow the same framework? A: The processes are pretty similar – I have lots of notebooks full of sketches and ideas but I tend not to measure or plan dimensions on paper, I go straight into making. I have a sense of scale from the idea sketch, and as I make the piece I resolve the finish. I think of both the objects and the jewellery as drawings because actually making the object or the jewellery is the stage of resolving the idea more fully. But the idea of the piece being a drawing is more then a fleshing out of a sketched concept – it is inclusive of the piece being interacted with and re-arranged, which is a commonality between the jewellery and the objects. K: Generally museums and galleries encourage people to have a distant relationship with sculptures. How would you like viewers to interact with both the spoons and the geometric objects? A: I think that the objects that I make are not in the same hierarchy or category as sculptures that are off limits from touching. I deliberately make things that are to be engaged with in order to uncover some of those hierarchies and to give potential for a different experience of a rarefied object; and also inseparably from this, a different experience of spatial relationships.